I don’t normally go to exhibitions of artists I’m not familiar with – not out of snobbery, but because a lot of the time I don’t hear about them! Which is a shame, because there really is so much lesser known and unknown talent out there. So when the Royal Academy of Arts announced an exhibition about Liotard and released a beautiful poster with an image of a girl reading, I was immediately drawn to it. I had never heard of Liotard and had to do a quick Google search to find out what the fuss was all about – I could then see that this man was definitely worth the fuss! 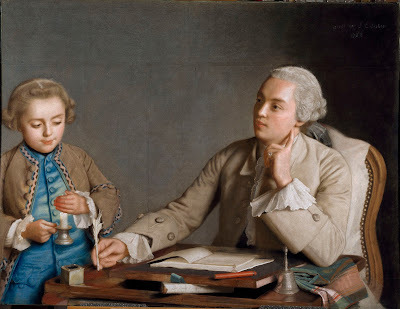 Last Sunday I finally got a chance to discover the art of Jean-Etienne Liotard. 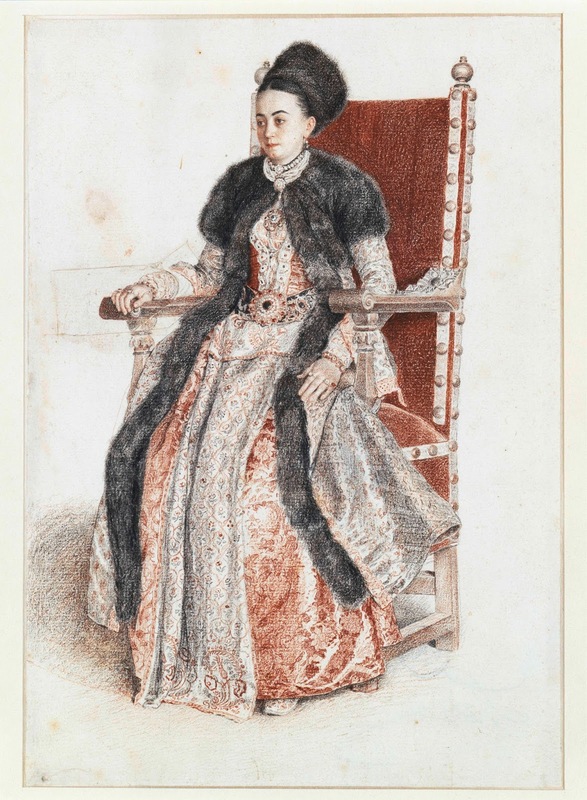 A Swiss artist from the 18th century and key figure in Europe’s Enlightenment age, Liotard gained fame and prestige for his quite simply magnificent portraits of politicians and European royalty. Beautifully detailed and brilliantly executed, Liotard managed to transmit a sense of warmth and familiarity from all his subject matters, successfully developing a highly distinctive and individual personal style. 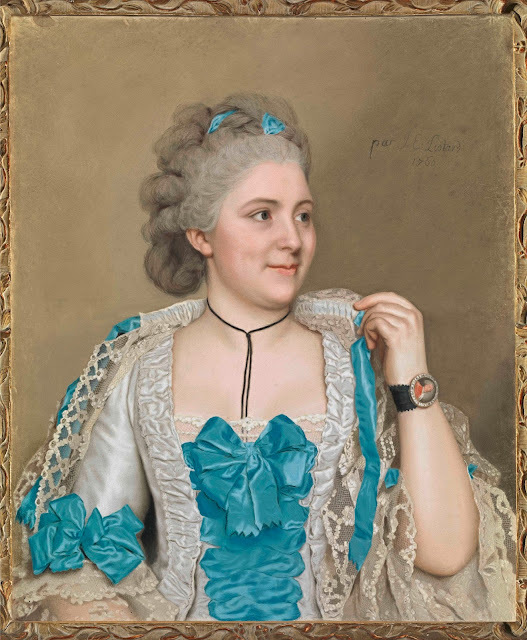 Observing a Liotard painting is fascinating, as not only is the artist’s love for fashion and details so perfectly displayed – the spectator can also, rather powerfully, catch a glimpse of the subject’s soul. The beautiful painting used for the exhibition’s promotional poster is a fine example of Liotard’s love for all things oriental. 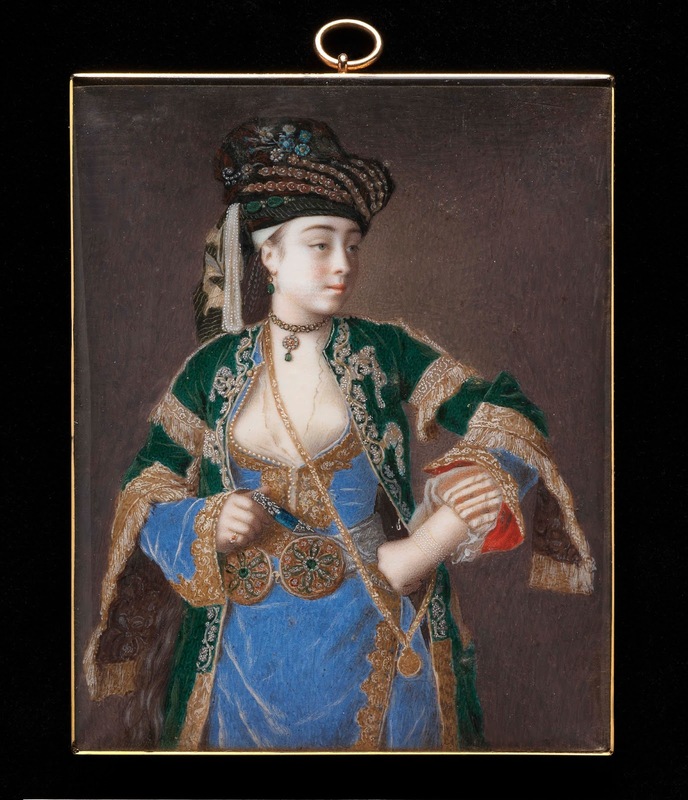 Liotard travelled to Turkey – back then, I think, the Ottoman Empire – and seemingly fell in love with its culture and aesthetics – he was later known as ‘The Turc’ around Europe because he often dressed in Turkish attire. OK, so what’s not to love about this self-portrait? 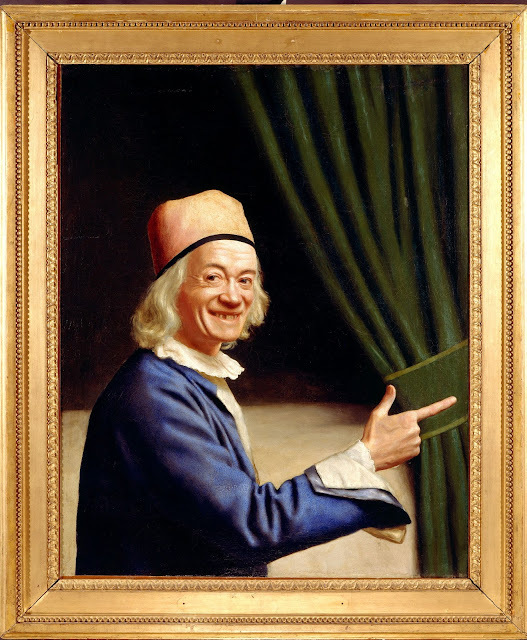 It is so ridiculously charming and cheeky, and I think it says so much about Liotard. The fact that he would choose to portray himself with such a naughty grin and an unusual finger gesture proves that he must have had a tremendous sense of humour and positive outlook on life. This beautiful painting makes me adore him even more. 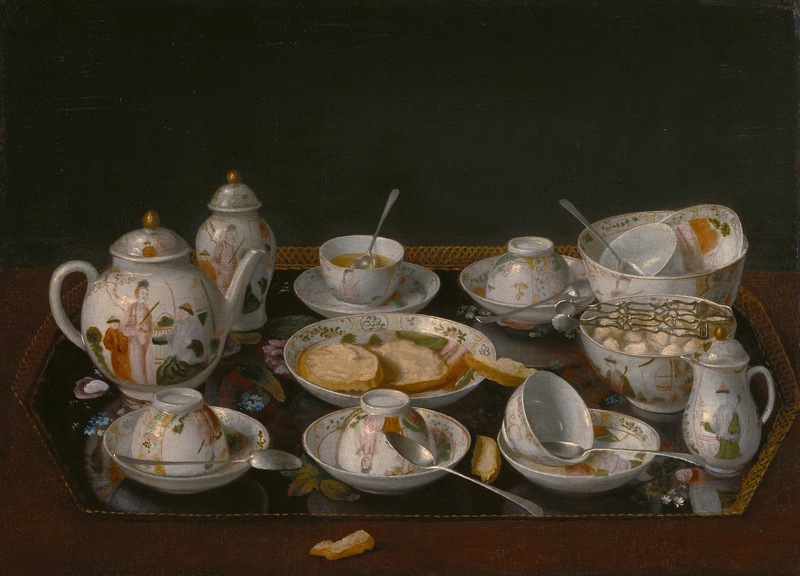 Liotard painted still lives too, this one probably being one of his finest – doesn’t this make you want to go for afternoon tea or treat yourself to a vintage tea set? I think it’s pretty sublime. So what I find shocking about this artwork is that it’s a miniature. Believe me, it’s tiny. And yet look at all that unbelievable amount of detail. I love the oriental references and the fact that Liotard could get so much detail onto such a small surface. This guy was bursting with talent. 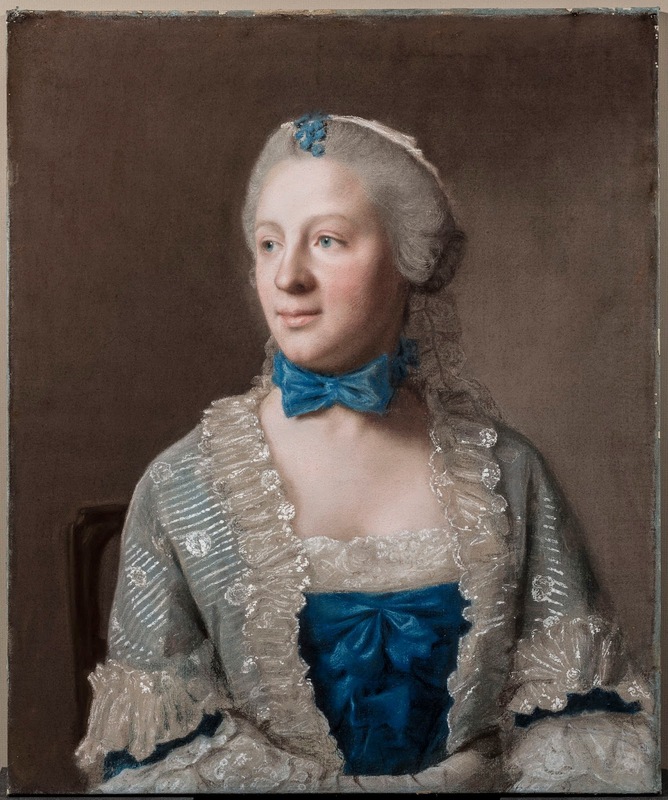 Another thing that made me flip when I found out was that so much of Liotard’s work was done with pastels. I mean, pastels. That’s almost like chalk! I honestly find that more admirable than oil. I’m not going to lie: one of the things I love the most about Liotard is his beautiful depictions of 18th century fashion – it all looks so luxurious and delectable even! And that shade of blue that is seen in so many of his artworks… If Yves Klein got his own blue patented, Liotard deserves the same recognition. What I love about this artwork in particular is that Julie is wearing a bracelet with a miniature portrait of her husband – Liotard also did a portrait of her husband in which he is wearing a ring with a depiction of Julie. Yes, it’s so sweet it makes my heart skip a beat. 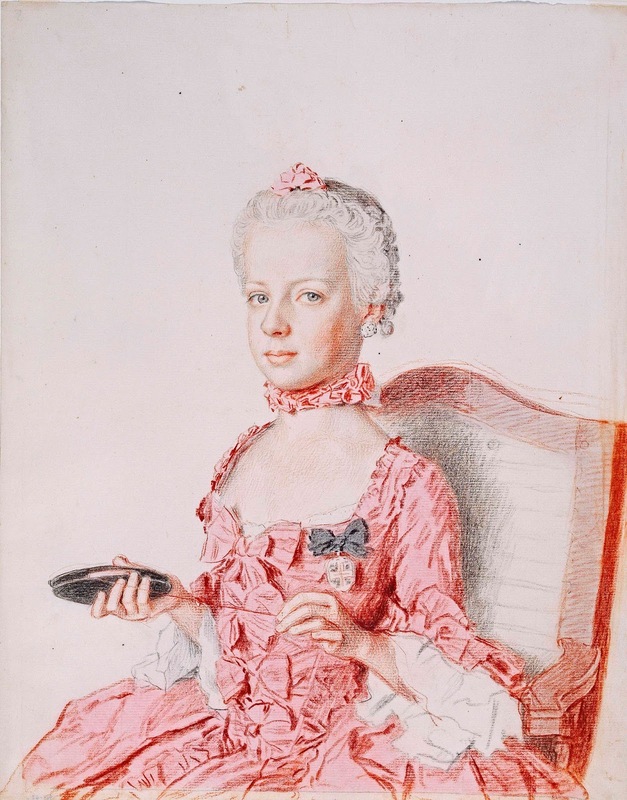 I almost shrieked when I found out that this was the Marie-Antoinette (at the age of nine, can you believe it?!). The drawing itself is already impressive enough, with the sitter’s incredible gaze and sheer beauty of her pink dress. But when I saw who it was, well, my mind almost exploded. Sofia Coppola’s got nothing on Liotard. I love the more simplistic drawings of Liotard too – because at a glance they may look simple but then are bursting with detail. Just look at the robes of this lady – it’s almost got a 3D feel to it. I just had to include a picture of my postcards too! The one on the top left is a portrait of British Princess Louisa Anne – I love the expression on her face, it captures a five year old’s essence perfectly. The postcard on the top right is of British countess Lady Ann Somerset, who I think was supposedly 14 when Liotard portrayed her. There is a trace of sadness about these two portraits as both of these young girls died at an unfairly young age from Tuberculosis – Louisa Anne at 19, Lady Anne at 22. Whilst many of his sitters may have have had a powerful role within society, personally for me they seem so terribly humane when depicted by Liotard. They may be dressed in fancy robes and be purposely shown in a positive light, but they are, above all, people – with feelings and stories of their own. If any of you lovely peeps are based in London, I suggest you run to the RCA before the exhibition comes to a close this Sunday the 31st of January – it’s worth it. 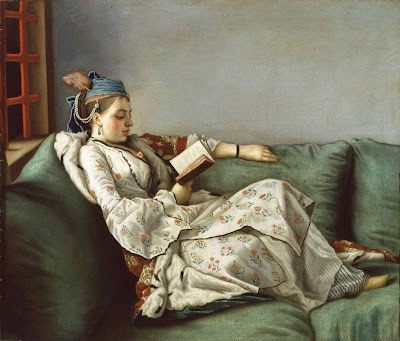 I personally didn’t want to leave the Jean-Etienne Liotard exhibition – I could have stayed there for hours, staring at all those faces and robes, reading the short snippets about their lives over and over again. When I did leave, though, I felt inspired – art is not and should not always be about doom and gloom. And it doesn’t make it any less significant when it isn’t, as Jeanne-Etienne Liotard has successfully and beautifully documented an essential part of our history – and shown that maybe the people back then were not so different from us after all. Images courtesy of The Royal Academy of Arts.